Since Anupam had played Manmohan Singh just a few weeks ago, Raju seems to be mimicking his brother rather than Manmohan Singh. 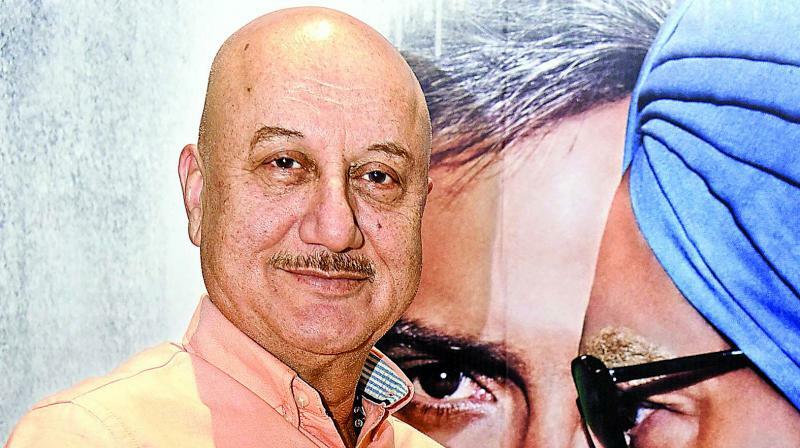 Wonder what they would say about Anupam Kher’s brother Raju Kher playing Manmohan Singh in a Rahul Gandhi bio-pic entitled My Name Is RaGa. Directed by one Rupesah Paul, who has a well-earned reputation for launching exploitative controversial cheap films based on topical subjects most of which never get released, My Name Is RaGa features a cheesy looking Rahul Gandhi rip-off (played by one Ashwini Kumar) and an even cheesier-looking Narendra Modi rip-off (played by Himant Kapadia). But the real shocker of the show and the one that makes your stomach churn is that the Manmohan Singh rip-off played by Raju who happens to be Anupam’s brother.